Freediving UAELatest NewsRelaxation, Recovery Breathing & Daily Breath Holds? Last week we learned about Controlling The Chemical Axis Of Breathing from renowned breathing expert Dr Peter Litchfield. If you happened to miss the equation that explains optimal breathing as defined by the “chemical axis,” why hyperventilation is so bad and how our reflexes get in the way of proper breathing habits, click here to listen to that episode first so you have a good understanding of what you are about to hear this week. In part 3, Peter puts all the information from the previous episodes together to give you actionable tips on how to make important changes in your own life. Listen to the interview above to learn, how to relax during a dive, the proper approach to recovery breathing and why holding your breath might be good for you! Dr Litchfield talks about how to relax during a dive by finding something in your day-to-day life that will trigger a thought process which moves you from sympathetic (fight or flight response) to parasympathetic (a ‘rest-and-digest” or “feed and breed’ state of mind). This is especially key for freedivers who need to keep their heart rate low and their awareness sharp to control the dive properly. This relaxed state of mind can be achieved in a variety of ways, but everyone responds to different methods. If you are having trouble finding something from your every day experiences, try something like yoga, which has worked for many world class freedivers around the world. Most freedivers know that recovery breathing is an important part of the dive. However, some may not be aware that the best technique is to simply allow your body to naturally return your breathing to normal. Peter suggests relying on your own reflexes because the body can self-regulate. You will breath off the CO2 and the system will adjust itself without fancy techniques or assistance in most cases. The secret is to rest and focus on your breathing spectator’s perspective, from a third person point of view if you will, to get what he calls breath awareness. Avoid the urge to “control” your breathing and allow the reflex to do its job. If you alter the recovery process, by trying to breath harder for example, you run the risk of developing bad habits in other areas of your life and cause dysfunctional breathing. 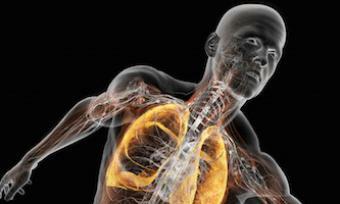 People who hold their breath every day normally don’t experience oxygen deficit. If anything, holding your breath can restore good carbon dioxide levels (CO2). Incidentally, the best way to check is to use a capnometer to check how quickly the CO2 level restores itself. Keep your head and fight the urge to hyperventilate to avoid headaches or nausea that may keep you from enjoying the next dive. We aren’t breathing experts like Dr Litchfield, but we do know a thing or two about freediving and hitting your personal goals. If you have a question about anything we’ve discussed or just freediving in general, let us know in the comments section below. We’ll be sure to respond and maybe even get Peter to do a follow up interview if you need some further clarification!